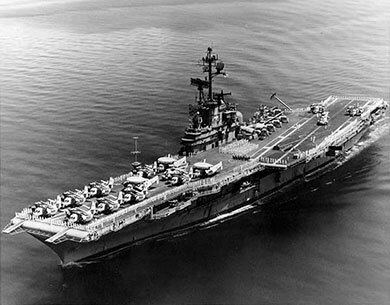 Photographs courtesy of United States Navy Archives. 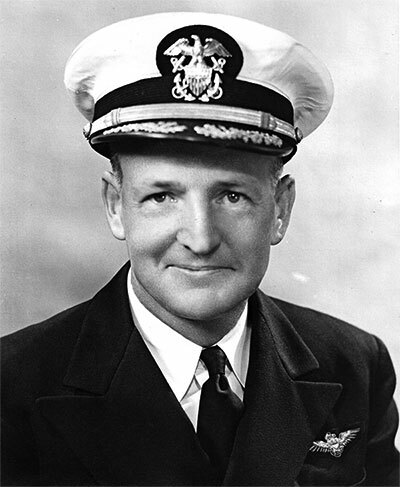 Adm. Sinton was Naval Aviator #3124. He received his wings on January 11, 1924. On 1 May 1949 William is listed as Capt. 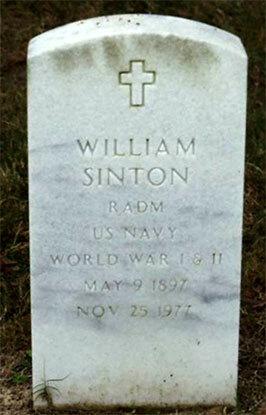 William Sinton, U.S.N. Chief of Naval Air Basic Training, Naval Air Basic Training Command, Pensacola, Florida. My father was born in Gwatmey, Virginia (later consolidated into Richmond) on May 9, 1897. He died in Pensacola, Florida on 11/25/77. 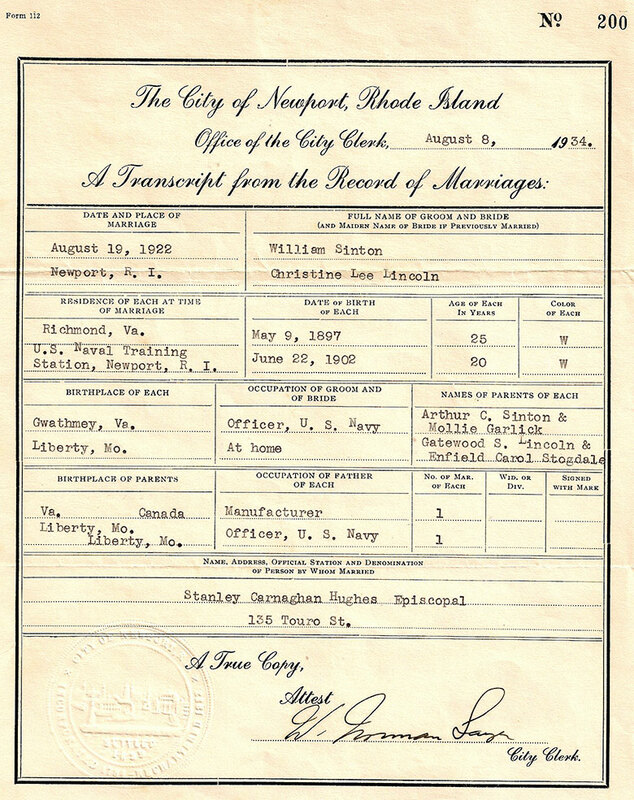 He and my mother were married in Newport, Rhode Island on August 18, 1922. He went to the Naval Academy and graduatd in 1919, the class of 1920 - they got out early because of WWI. He became a naval aviator shortly thereafter. 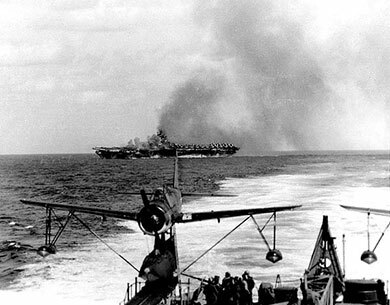 In WW2, he comanded the aircraft Carrier USS Ticonderoga after it had been attacked by several kamikazes. He finished the war in Tokyo bay several days after the signing of the treaty with the Japanese. He was transferred to Pensacola in 1946 where he was stationed until he retired in 1949 and became president of one of the Florida National Banks. The location is Barrancas National Cemetery, Naval Air Station, Pensacola, Escambia County, Florida, United States of America.